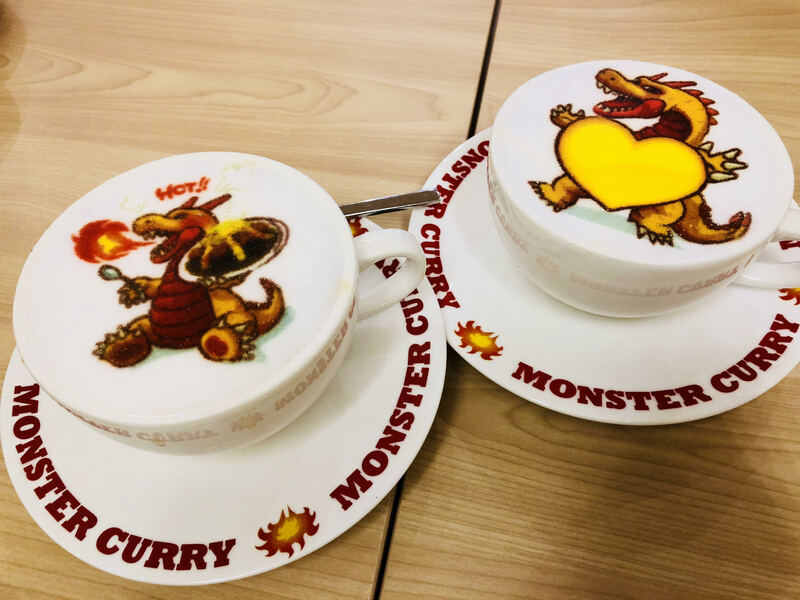 If your loved ones enjoy Japanese curry, and/or are attracted to anything pretty and pink, Monster Curry is just the right place to bring them for a Valentine’s Day or Chinese New Year treat! 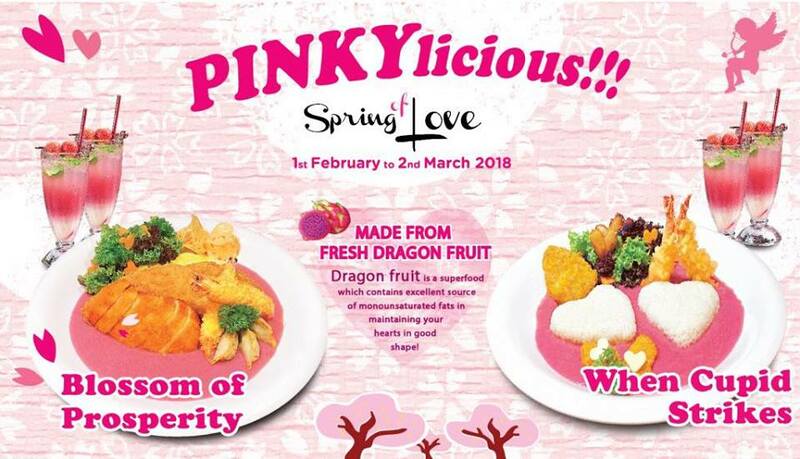 From 1st February to 2nd March 2018, Monster Curry brings to you a “PINKYlicious” dining experience for two (or more!) in the form of pink-themed food, drinks, and dessert! 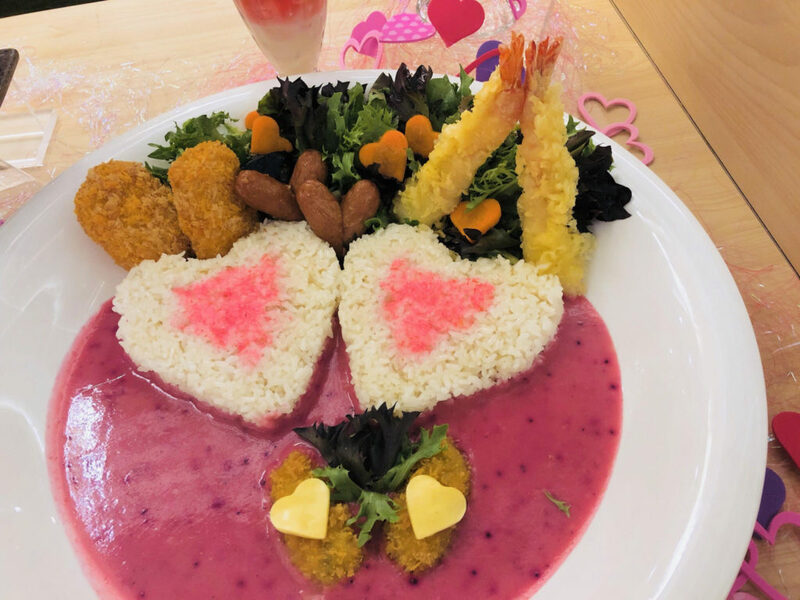 With pink curry, heart-shaped rice displays, pink fizzy drinks topped with strawberries, and honey-infused dessert, the romantic presentation is sure to let your loved ones go “aah” and “ooh” with delight. To give the curry its lovely pink glow, fresh red dragon fruit is used as the main ingredient – a relief to know that no artificial colourings were used. Hence it is truly able to convey the phrase “in the Pink of Health”! Dragon fruit contains a high level of Vitamin C, and contains strong anti-ageing properties as well. We tried the dish “Blossom of Prosperity”, (as above) meant to serve two – however the portion is extremely generous! 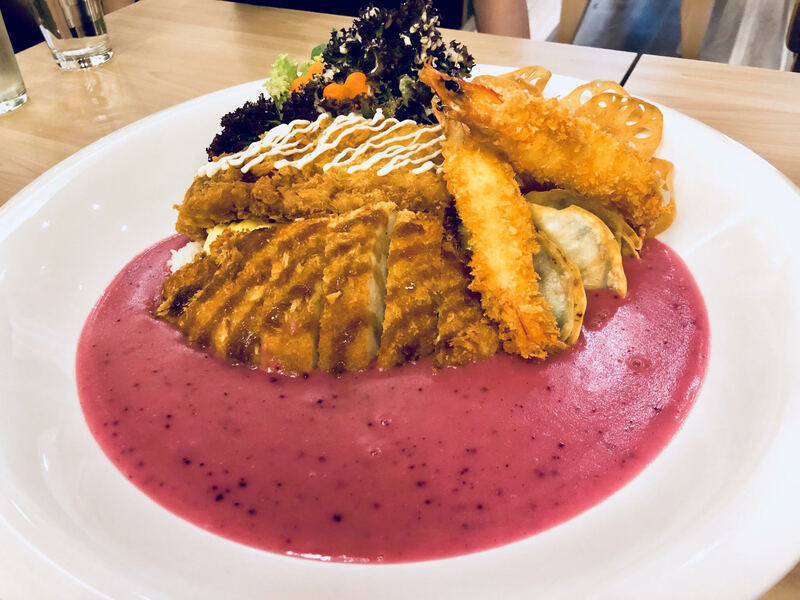 At just $32.80, there is fish, chicken katsu, premium jumbo ebi prawns, golden gyoza, omelette, as well as garden salad and renkon (lotus) chips atop Japanese rice. This is designed to bring in the “Huat” for Chinese New Year, with the ingredients such as prawn “Ha” (dialect) and fish “Yu” symbolising expressions of prosperity to ring in the New Year. 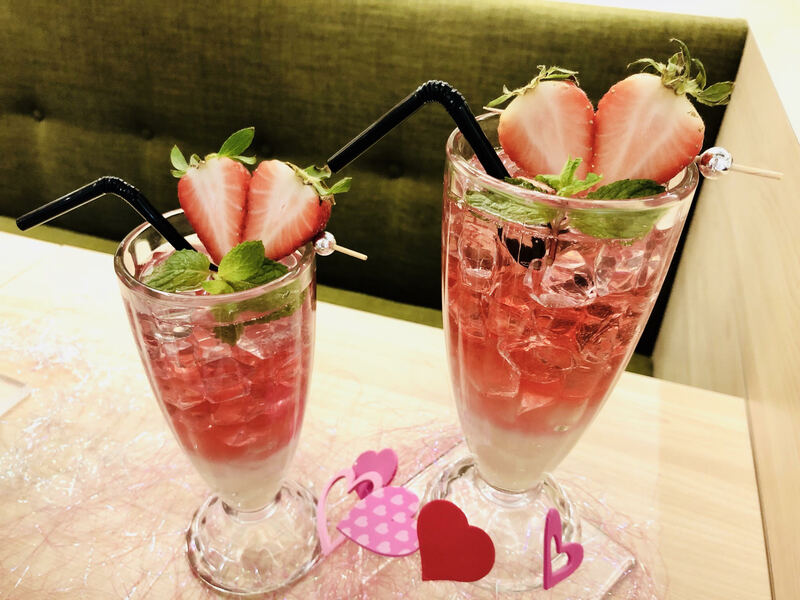 These main dishes will definitely satisfy any hunger pangs, and savoury goes with sweet – the dish is served with fruity fizzy drinks infused with yoghurt and fresh strawberries. 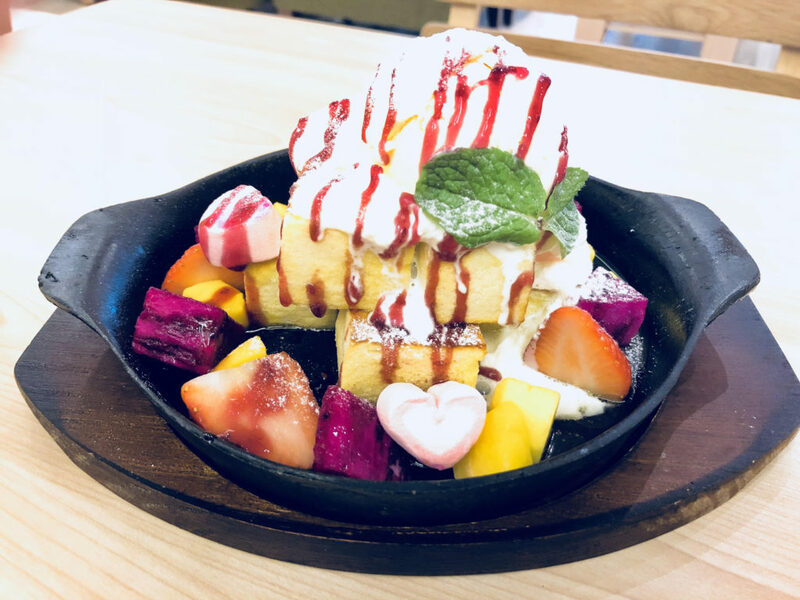 Dessert at Monster Curry is a good compliment if you still have space for Haagen Daz ice cream atop a generous portion of sweet honey toast cubes, a steal at just $10.80! They do have quite a selection of flavours as well, with Matcha and Mixed Berries being some of the options. We really loved the latte art, which is served to you at just $3.80++ per cup. They even have “selfie” latte art, which we tried! 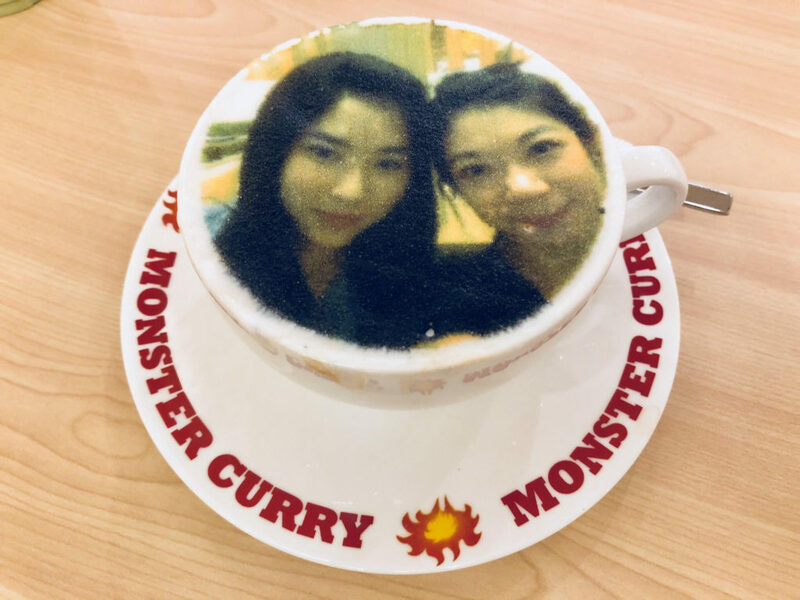 Alternatively, you can choose to have Monster Curry’s fiery dragon mascot printed atop your latte for a cute insta-worthy drink. The coffee is made professionally with selected beans as well – we did enjoy that! Visit monstercurry.com.sg for more details. Your Very Treatz Swiss Rolls, Cheesecakes, and more!